With all the other decisions you have to make this weekend — which team to root for, which commercial you like the best, what flavor wings to serve — the folks at CraftBeer.com decided to give you some assistance with deciding on a beer to drink. Just use the handy decision chart below and you are sure to get the perfect brew for the game. If only deciding whether to watch Lady Gaga or the Puppy Bowl at half time were so easy! It has been a while since I have posted a good beer infographic. But, today the folks from Serenata Flowers have provide an infographic that any self-respecting beer lover will want to take a look at. The infographic provides hacks to beer problems you may have run across. Check it out below. Glassware is just as important to the craft beer experience as the beer itself. I haven long been an advocate of using the proper glassware to accentuate and showcase beer to its fullest extent. And, if you think about it, serving beer in a glass that helps to capture a beer style’s distinct nuances is no different than serving brandy in a snifter, a Tom Collins in a Collins glass or a champagne in a flute. It just makes sense. But, the sheer number of beer styles and their accompanying glasses can be intimidating. Enter the fine folks at Hangover Revivol, a company that produces and distributes hangover prevention tablets in Australia. John Powers, the company’s marketing executive, created an infographic entitled ‘The Ultimate Beer Glass Guide’ that explores the various designs, what they do, and which beers belong in them. Look below to see the infographic. While the real Oktoberfest in Munich, Germany may be over, there are still plenty of fall celebrations that spotlight German heritage with oompah music, bratwurst and plenty of beer here in the United States. The folks at The Sparefoot Blog, have compiled an infographic that highlights eight of our country’s biggest and best Oktoberfest celebrations. The fine folks over at CompareCamp.com have put out the article and infographic below to highlight a plethora of interesting facts about two of the world’s favorite beverages. Enjoy! “If you can’t drink it, don’t cook with it,” so said the late celebrity chef, Keith Floyd, about using wines to flavor food. If the guy was still around, he’d agree that any of the top wine brands we’ve listed in the infographic below would pass his taste, he who loved to cook with a half bottle of wine because the other half–he already drank. Wine isn’t the only alcohol you can use for cooking; in fact, marinating with beer not only tenderizes meat, but neutralizes carcinogens from burnt meat. Moreover, beer, surprisingly, has less calories compared to wine. An 8 fl. oz. beer has about 93 calories versus 200 for the same amount of wine. Why then, er… the beery belly? It’s likely because we guzzle more bottles of beer than we would glasses of wine in one sitting. 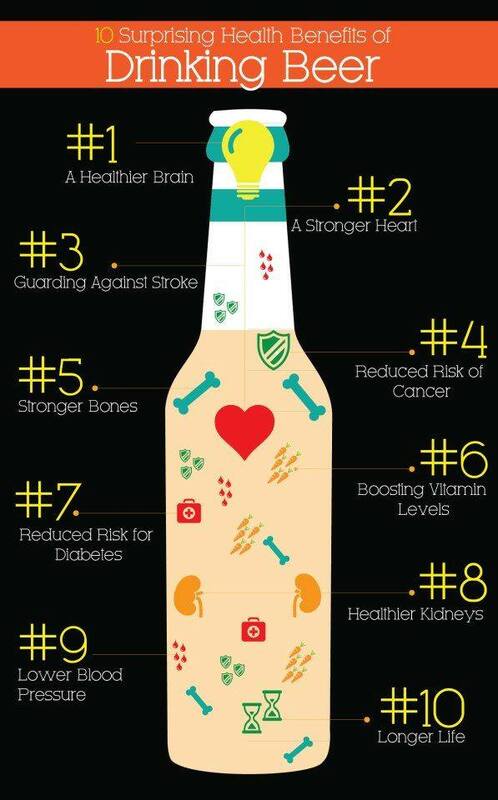 For more health benefits of beer and wine see the infographic below. But this isn’t about cooking or health alone; the infographic will let you enjoy a round of facts and trivia that you can dispense with gusto during a drinking session. For instance, which do you think is older beer or wine? Or where do you find the oldest and still operational brewery and winery? Well,the oldest winery was founded in 1211, a century before Dante wrote The Divine Comedy. If you think that’s really old, wait till you check the oldest brewery below. If you want some high-brow facts, impress your drinking buddies by pointing out the most expensive wines and beers ever. While you’re at it, feign business intelligence by mentioning that the U.S. has overtaken France as the number one wine market last year, or that the U.S. and Germany are the only two countries to belong among the top five markets for both wine and beer. You all know that I am a sucker for an infographic. Well, here is another one that I shamelessly stole from Facebook feed of my good friends at Dahlia’s Pour House. When a beer-lover thinks of Ireland, a number of things come to mind; pints of the black stuff, pubs filled with lively music and beer paired with hearty Irish foods. The folks at Homebrew West, a home beer brewing supply store in Galway, Ireland also want you to know about beer festivals around Europe. Always a sucker for a fun infographic, the enthusiastic group at Homebrew West sent me the gem below with all the information you could ever want about the biggest European beer festivals. Several may make it on to my travel itinerary over the next few years! If you like the infographic, be sure to stop by Homebrew West’s website and let them know!